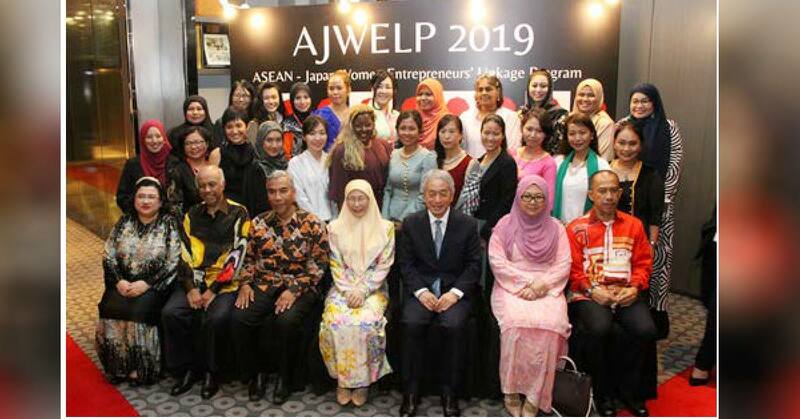 The ASEAN-Japan Centre (AJC) has organized the 3rd ASEAN-Japan Women Entrepreneurs’ Linkage Program (AJWELP) to empower startup women entrepreneurs. The event was held in Kuala Lumpur, Malaysia on January 27-30, 2019. It was co-hosted by SME Corporation Malaysia. The governments of the ASEAN Member States and Japan are committed to promoting the development of micro, small and medium enterprises (MSMEs), including women entrepreneurs’ empowerment to enhance more gender-equal societies. To boost this effort, the AJC launched AJWELP, a support program for startup women entrepreneurs in the ASEAN Member States, to forge linkages among startups, companies, and mentors. It was first organized in Manila in 2016 followed by Jakarta, Indonesia in 2017. One of the highlights of the 3rd AJWELP was a business presentation on January 29 where startups from the 10 ASEAN Member States delivered presentations on their businesses and challenges, in front of representatives from companies and mentors who are senior entrepreneurs. After the business presentation, company representatives decided which startups they would support, in line with companies’ businesses. There were 153 supports offered to 10 finalists by 27 supporting companies. Another significant moment was a networking reception in the evening held after the business presentation, which was graced with the presence of Yang Amat Berhormat Dato’ Seri Dr. Wan Azizah Wan Ismail, deputy prime minister of Malaysia and Minister of Women, Family and Community, development, and other dignitary government officials. The deputy prime minister delivered a keynote address, sharing facts of women-owned SMEs in Malaysia and how the Malaysian government supports them. Further, the deputy prime minister commented on AJWELP that the program would have greater success in empowering women within the ASEAN region as it is already in its third consecutive year of implementation.